home → Loans → Hard Money Loans → What Is a Hard Money Home Loan? What Is a Hard Money Home Loan? A hard money home loan is an often overlooked way to finance a home because the lending industry is not well-known. Hard money loans provide a viable alternative to the traditional lending industry. Here are the basics of a hard money home loan and how it works. 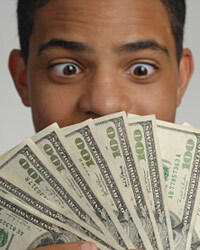 Hard money lenders are typically individuals that have extra money to lend. They want a higher than average rate of return on their investments. These individuals make a habit of working with distressed individuals and situations. They know that only those in financial trouble would pay the rates that they charge. Usually they are limited to a geographic area, so you will have to find one locally. The loans work differently than traditional loans. Typically they are set up as a balloon loans. The terms are usually short. You might have a two year loan term where you only pay interest payments and then have a balloon payment at the end. This allows you some time to secure traditional financing by refinancing the loan. The interest that they charge will typically be much higher than a regular mortgage. In some cases, you will pay two or three times what you would pay for a traditional mortgage.